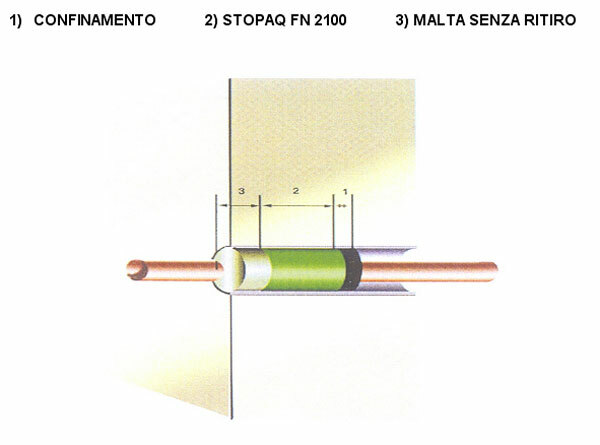 STOPAQ FN 2100 is a mono component, permanently plastic sealing compound, used to create a waterproof barrier around underground holes needed to pass one or more cables and/or pipes through wall structures. - Does not harden, retains its original soft state and therefore can be removed and reused with the utmost ease. Any dust, earth, sand, loose parts, rust or paint layers on the pipes as well as any old deteriorated sealant must be removed using pressurised water or a brush before the compound is applied. The surface should be either damp or wet. To limit the thickness of Stopaq, insert a barrier of self-adhesive strips made of foamed polyethylene, similar to the ones used to seal windows and doors. 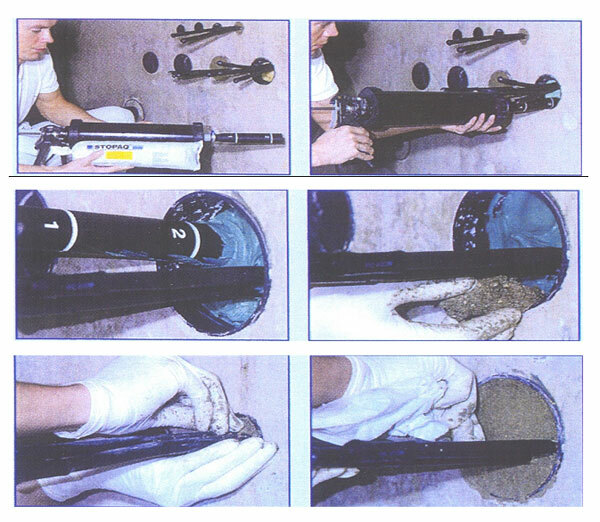 At low temperatures (usually during the winter) and when using guns designed to apply silicone instead of original STOPAQ guns, the Stopaq cartridges must be warmed in water at + 37°C for approx. a quarter of an hour before use. 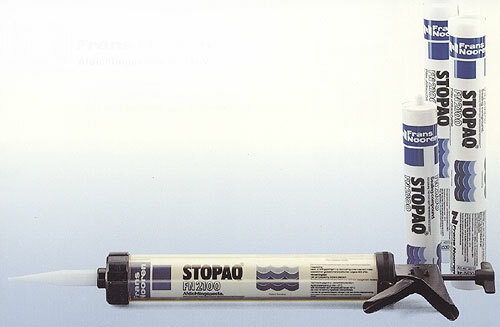 Therefore, Stopaq must be compressed and compacted against the barrier, created beforehand, to seal every space. To fill depths up to a minimum of 8/10 cm with Stopaq, apply the product from the inside out by positioning as appropriate the nozzle. Smooth the external surface of the Stopaq with a brush, press down firmly to compact and encapsulate with at least a 2 cm thick layer of shrinkless mortar.